An invitation to a unique celebration of 50's and 60's music guaranteed to get you boppin! 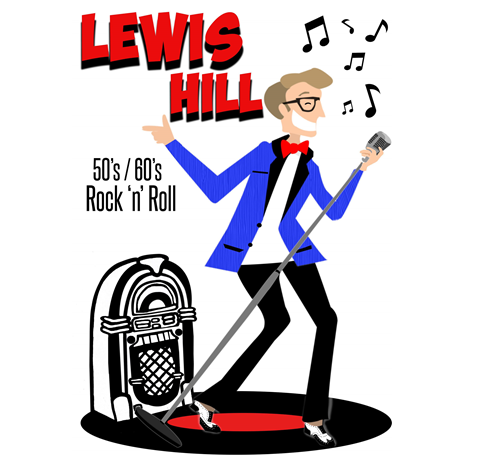 Lewis is a local performer, covering all the best hits from the golden era from the likes of Buddy Holly, Eddie Cochran, Cliff Richard and many more. His vocals and stage presence are second to none and has a true passion for the rock and roll era of music. No stranger to the Arts Centre stage having appeared in numerous shows and Pantomimes over the years, we are delighted to welcome Lewis back for a night of rock and roll nostalgia. So grab those dancing shoes and get ready to bop the night away!